Dido, or “дідусь” is Ukrainian for “Grandfather”, which was the name this fellow was most frequently called. He even had personalized license plates with the name. The idea for this caricature-portrait came after a discussion about how men of a certain age don’t like to exercise for the sake of exercise, even though they should. These are men from a generation who spent their lives doing what they should. But Dido enjoyed walking the dog and that was his exercise. 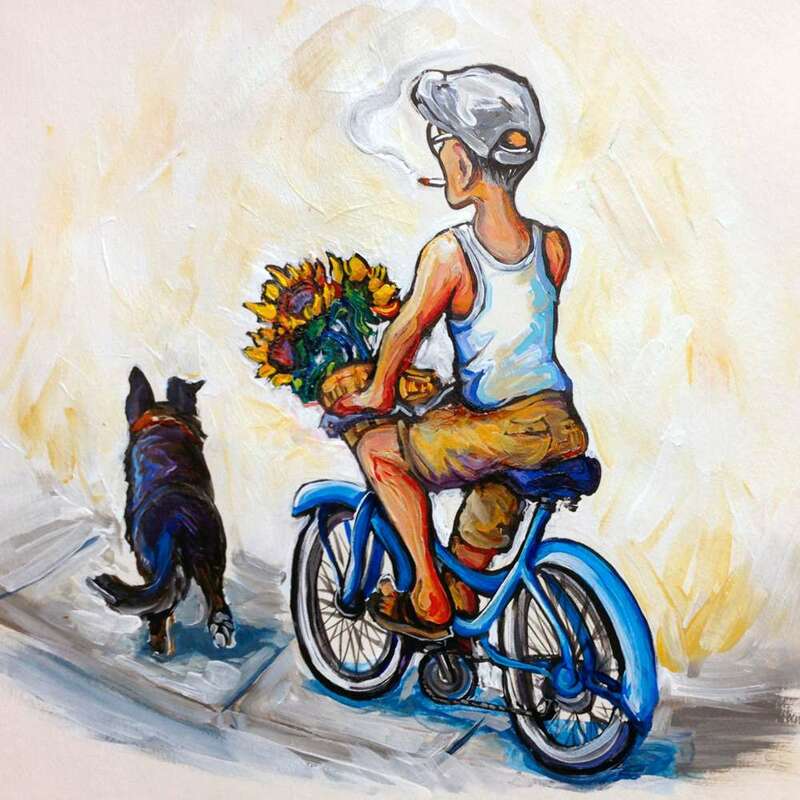 He would ride his wife’s bike — a blue girl’s bike with a big wicker basket — on the sidewalk while the dog ran alongside. No leash. Dido always had a smoke and often refused to wear lace-up shoes or shirts. The white cap was ubiquitous. The sunflowers represent where he came from.